Jonathon was AMAZING! BEST in town. Proof of this is that our venue actually published his picture of us in DSM magazine. 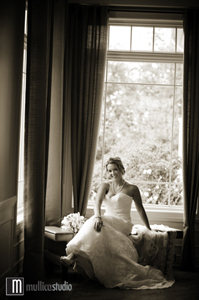 Many brides do not understand that the photographer determines the flow of your wedding day. He not only takes amazing pics but is so fun to work with and made my wedding day go smoothly- I was able to enjoy my entire day because of his way of working with us, our families, and wedding party. Lana READ MORE HERE…..
What a WONDERFUL EXPERIENCE we had with Jonathan! We had our “initial interview” with him and fell in love with his work and personality. He’s very professional and very talented. As we continued our wedding planning we experienced every bride’s nightmare. Our invitations were sent out and we get a call from our church saying it’s been double booked and we’ll have to reschedule our wedding. After almost two years of planning there was no way I could re-do this in two months. 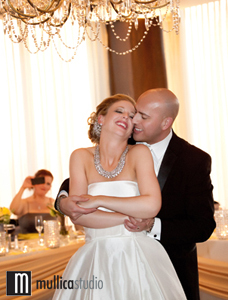 I was frantic and in tears.Jonathan was MORE than accommodating to us and assured us it didn’t matter where we got married. No matter what happens we’d still have love, vows and GREAT pictures. He was right!! Searching for the perfect wedding photographer, you can stop searching. Mullica Studio goes above and beyond to ensure your thoughts, ideas, and wishes go into every picture. Jonathan will work with you to understand what you want and will add his professional opinion/touch to your pictures to ensure you receive pictures that are beyond your expectations. Choosing Jonathan to capture our special day was, absolutely without a doubt, the best choice!! He is an outstanding photographer and took our photographs to a whole new level of excellence! Jonathan really took the time to get to know not only us but also our family members which made our special day go especially smooth. He truly made us feel comfortable and relaxed. © 2019 Mullica Studio | Des Moines Photographer|ProPhoto5 by NetRivet, Inc.